~ THIS IS A PUPPY WEIGHT CHART. IT'S ONLY A GUESSTIMATION AS PUPPIES CAN BE SMALLER OR LARGER THAN THE CHART SHOWS. 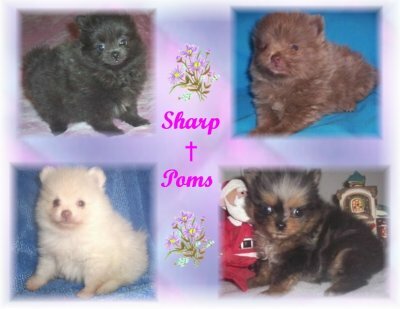 If you are interested in one of my Pom babies you may contact me below! I hope you enjoyed your visit to Sharp Poms!